Elon Musk showed a picture of the almost ready to fly Falcon Heavy in the HIF (Horizontal Integration Facility, aka rocket barn). You can see the darker, larger grid fins on the side cores, and the lighter smaller Aluminium fins on the center core. The plan is for the two side boosters to fly back (RTLS) to LZ-1 and land on the two landing pads there. 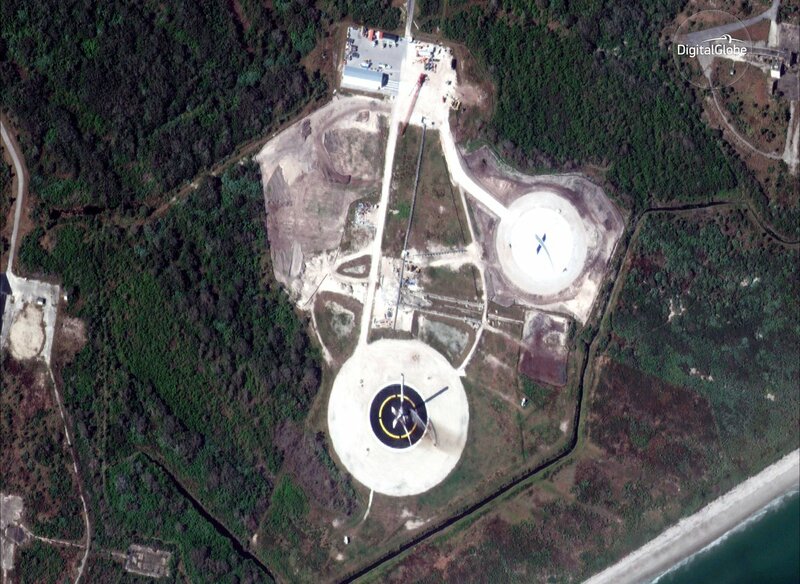 (You could see the completed second pad in Digiglobe's tweet showing it after landing). What is kind of cool is to zoom in, and you can see them hosing down the booster. Commercial spy satellites are fun! The core booster will land downrange on the ASDS OCISLY. In theory one would expect that to be the more difficult landing than RTLS. The side boosters stage, lower and slower so should be easier? It's the nose cones. They make it more unstable, so they need the increased control authority from the Ti gridfins. The center core's interstage acts like the feathers on a shuttlecock, stabilizing it, so you only need the Ti fins on it for high speed reentries. This won't be, since the payload is very light. You can see some good photos of the differences in size and shape between the two types in this question/answer. The other part is that the side boosters have a much steeper reentry, thus most of the heating happens in thicker, slower air. Some of the heat can be carried away by it once the fins get hot enough. Titanium is expensive but can do that. For the center core, more of the heating will happen in faster, thinner air. It will carry away less heat, so we have to go to the old standby for reentry - ablative cooling. The melting/boiling paint will actually keep the temperature cool enough for aluminum, so we can fly some old, cheap fins. Not the answer you're looking for? Browse other questions tagged spacex landing falcon-heavy grid-fins or ask your own question. Why are the bottom of most stages flat? How are the SpaceX Falcon 9 Mod 3 and Mod 4 grid fins different? 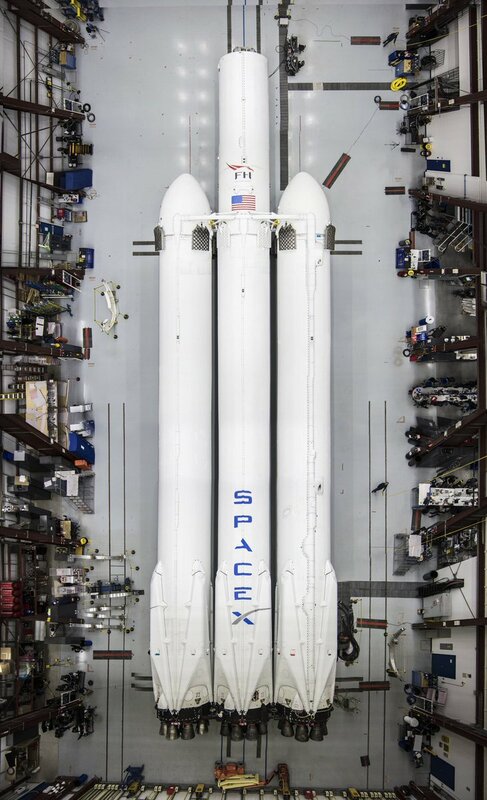 Why the soot pattern on the nosecone of Falcon Heavy side booster? Is the Falcon Heavy booster much simpler to land than the Falcon 9 first stage? Do they assemble the Falcon Heavy on the TEL? Why are the cells on grid fins square in shape? Why are the new Titanium Grid fins not used on all Falcon 9 landings? How do re-usable boosters handle re-entry damage? Can Falcon Heavy side boosters/center core be reused as Falcon 9s? Is helium used to power the Falcon 9 grid fins?